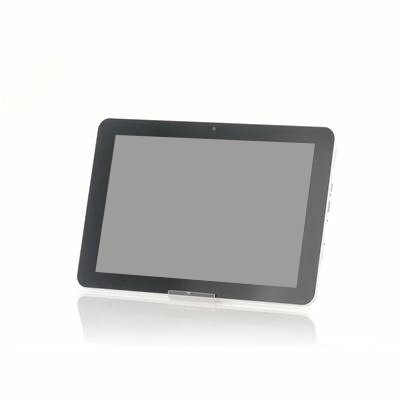 Successfully Added 10.1 Inch Android 4.4 KitKat Tablet 'Cecrops' - 1280x800 Resolution, ATM7029B A9 Quad Core 1.3GHz CPU, PowerVR SGX540 GPU to your Shopping Cart. 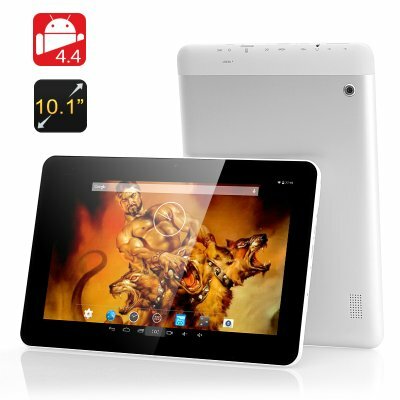 10.1 Inch Android 4.4 KitKat Tablet is a large device with modern software as it features a 1280x800 Resolution, ATM7029B A9 Quad Core 1.3GHz CPU and a PowerVR SGX540 GPU. Named after the mythical king of Athens who, according to Eusebius reigned for fifty years, this tablet is known as the Cecrops. With a large screen that presents you with a 1280x800 resolution, this tablet is a monstrous example of how media should be enjoyed. This large tablet has an ATM7029B A9 Quad Core 1.3GHz CPU paired with a highly dedicated PowerVR SGX540 GPU. Sit back on your sofa or relax when on the train when commuting to work and enjoy watching movies or using the 10 point touch screen to interact with games. This tablet features Android 4.4 KitKat operating system, which has a more polished design, improved performance, and new features. Also while listening to music on your device, or while projecting movies to Chromecast, you will able to see beautiful full-screen album and movie art when your device is locked. Applications that embed web content now use Chrome to render web components accurately and quickly making Android 4.4 KitKat significantly practical.